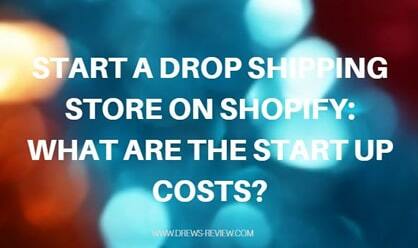 I've had a lot of my readers contact me to ask what are the common expenses incurred when starting a Shopfiy Drop Shipping e-commerce store. 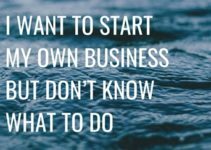 The answers are pretty clear and by the time you finish reading this article you will have a better idea on what you will need to invest in this business. The first thing you will need is a domain name. Shopify gives you the option to have a subdomain as your URL and I strongly advise against this. Register a domain name yourself. The process is very easy. I would suggest registering a domain name with Namecheap. They are priced well, offer excellent support and offer free privacy on your domain. This way, no one can see your personal information when you register a domain like your name, address, email, etc. Domains start at $8.88 for a .com domain. I strongly suggest a .com domain. If you have a brand already and can't find a .com, then the next two best ones would be .net or .org. I would not go with anything else than these three. You will need to renew the domain name each year. I would suggest choosing the auto-renew option so you don't forget! At the time of this writing, there are 4 different plans to choose from. In the beginning you only need the "Basic Shopify" plan which is $29/mnth USD. From my experience the next plan just dubbed as "Shopify" at $79 a month is only worth it when your store starts to grow and more sales are coming in. With this plan the transaction fees are less, so you'll end up saving money. You can get a free trial here for Shopify. You can also downgrade the plan if you choose any version that is greater before the trial ends. 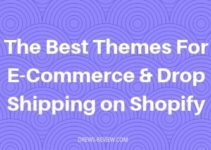 If you are installing one of the free themes from Shopify, you'll probably need to install some apps to customize your store. Free themes are very basic but will have all the functionality you need to begin. Once you start getting more advanced, you're going to want to automatically tweak your store to look like the more popular ones. Some of the popular apps can range anywhere from $5 and up. There are some free apps available too, but most of the time they don't work too well and are just a gateway to a paid product. Apps can add up in price, and when you consider most come with a monthly fee, you could be paying a lot over time. The way to drop your monthly fees is to get a premium theme that includes the same functionality of apps within the theme. Most quality premium themes will have just about all the functions you need built in that you would normally have to pay for with an app. 1. Get your feet wet with a free theme and really learn your way around the Shopify Platform. Just get something up and start testing. Don't worry about apps for now. Once you are comfortable with the platform, you can choose to buy some apps or just get a premium theme. I did a review on the best premium themes here. Take a look at what works best for you and your store. Although there are some free methods you could learn to advertise (if you get a good course) the bulk of your ependitures will come from ads. Typically most people start out with Facebook ads but now Google Ads are also becoming popular amongst drop shippers. How much you spend will depend on your budget. If you cannot afford to spend $5 a day on ads, please steer clear of dropshipping and do something like affiliate marketing instead. Every successful eCom store has an active email list that they market to time after time. A lot of new dropshippers ignore this and just focus on ads. Don't do that! Get yourself set up with a way to collect emails and start mailing your list right away. The good news is that you can start for free. So, the expense here is zero. The caveat is that you'll have to start paying once you reach a subscriber count of 2000. This autoresponder is called Mailchimp. There are other options and in my opinion Get Response is superior. You can start with a 30 day free trial here. If you have been excited by all the "guru's" on Youtube with their flashy cars and lifestyle and want that too - it's not going to happen if you don't know what you are doing. The free training found online whether it's from Youtube or some other source is ok, but a lot of it is outdated and innacurate. Take free training for what it is with a grain of salt. You therefore NEED to invest in training. The good news is that you don't need to spring $2495 for an eCom course like I did a few years ago. 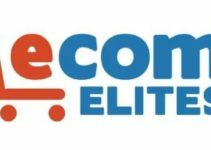 Ecom Elites is the best course in my opinion and it's only $197 or $297 for the Ultimate version. This is paid once and you get lifetime updates. I do a full review of eCom Elites that you should check out. I am a member as well and I take you inside the course to see what you get. 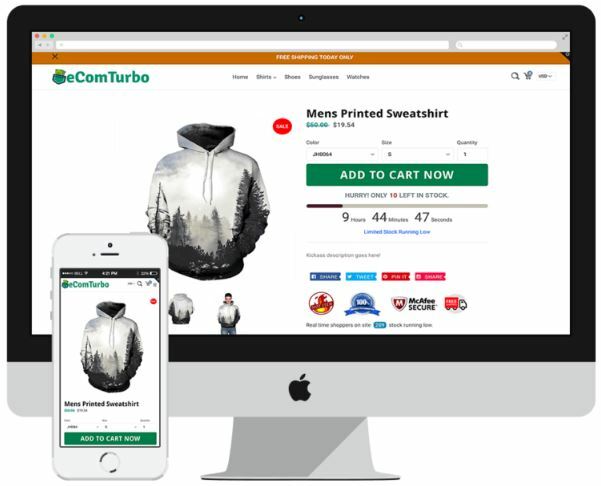 To sum it up, your expenses to start and run a fully fledged ecommerce drop shipping store on Shopify are simply domain + Shopify Fees + Apps or Premium Theme + Advertising + Training. When you consider the costs of starting a brick and mortar store compared to this, well I think you get the idea. I love the fact that a million dollar business can potentially be built from your laptop in a coffee shop, basement or wherever you are. Like this article? Please LIKE & SHARE.